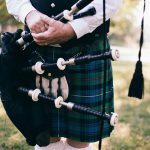 This guide will take you through several considerations you need to make when purchasing a set of bagpipes. 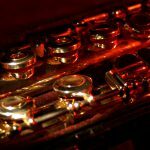 It will help you to understand all of the parts of bagpipes, how to play the bagpipes and what to look out for as well as key brands to consider. 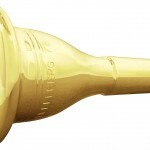 Use the reviews to help you select the best bagpipes for you. It is important to note your capability as a bagpipe player. Most intermediate or professional sets of bagpipes are not geared to helping a player learn how to play. There is a significant difficulty for beginners to even get a note out of a professional set of bagpipes. The second consideration is whether or not you wish to buy a full-sized set of bagpipes to start or even a set of bagpipes at all. 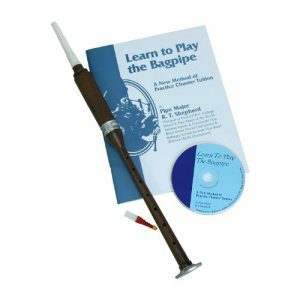 There are many options as found below that can enable you to learn the bagpipes without purchasing a more expensive full-sized set. 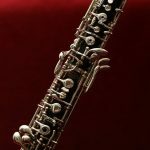 Consider, for instance, starting with just a chanter pipe for practice of finger patterns before moving onto the full set. Finally, it is important to know about the parts of the set of bagpipes and what options you have. The next section will allow you to understand the options you have for each part of your set of bagpipes and how they affect the playing of the instrument. This pipe allows the player to fill the bag with air; it is attached to the bag. The player uses this blow pipe to continuously fill the bag with air so that the pipes will sound continuously. 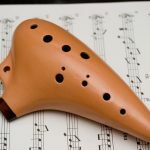 The blowing is part of the playing that can prove most difficult as it requires continuous circulation of air through the blow pipe into the bag. Bagpipes utilize a variety of different drones some models having more than others. All bagpipe drones create the lower continuous sounds that immediately are recognizable as the bagpipe sound. Most bagpipes offer two drone sounds an octave apart: bass and tenor. This allows the bagpipes to sound like they have their own accompaniment. These drones come from the pipes that point upwards over the player’s shoulder. Often made from bamboo stalks or synthetic materials the drone reeds sit as a long valve-like part to the bagpipe inside the drones themselves. 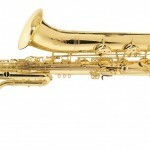 The reeds are what allows the air to vibrate and create the production of sound. The bag has to be filled with air continuously through the blowpipe/blow stick in order for sound to be produced from the instrument. 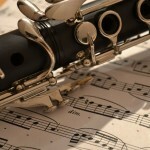 The air is squeezed out by the player with the help of the arm and the air then moves the drone reeds and chanter reed. The arm pressing the bag must maintain a constant pressure and the air flow into the bag must allow for this in order to keep the constant drone. Held with two hands vertically down the placing of fingers to cover holes produces different notes for the melody. This can be one of the most challenging parts of playing the bagpipes as it takes great skill to use the holes to produce 9 different notes. Two bamboo slivers encased in the pipes create the high-pitched sound through the chanter pipe. Air from the bag being pushed out past this reed produces the melody line. A simple woven cord that hangs between the drones, this looks like it is there to dress up the bagpipes. However, they serve an important purpose. When holding up the bagpipes the drone cords offer support to each other and ensure that they do not cross or fall apart from each other. This means it is easy to keep all drones in the upright position whilst playing. 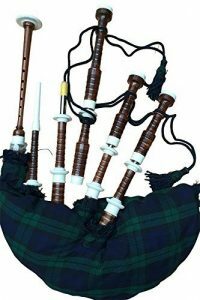 Most bagpipes involve the air supply filling up the main bag and then two sound types emitting from the bag: the drone and the melody. The drone plays a long and continuous usually low note whilst the melody is formed by the chanter. First, you must fill the bag with air through the blowpipe. Next, you must squeeze the bag with your arm towards your torso, this will produce the continuous drone sound. Once you put your fingers down on the chanter to cover up the holes, the melodic line will start to ring out over the drone. The sound stops once all the air has been squeezed from the bag, which is why a player continuously blows through the blow pipe to keep the bag inflated. 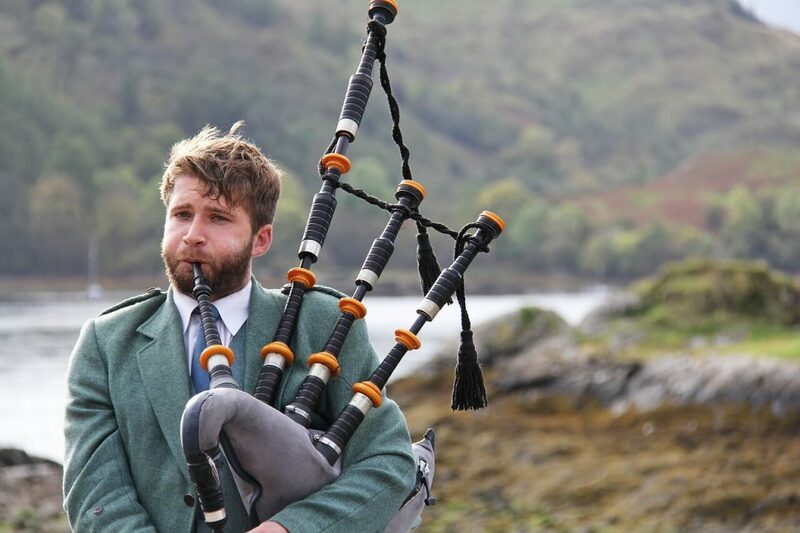 This video is a quick introduction to playing the bagpipes. The bagpipe can be a complicated instrument to learn all at once. 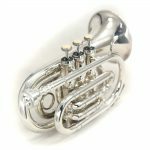 Sometimes it is not worth buying the full-sized instrument to get started, rather try other options. These options can help you to make a start in understanding how to play the bagpipes. 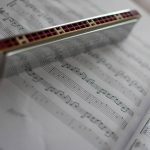 This practice chanter means that before buying a set of bagpipes you can master the skill of playing the chanter and understand the finger patterns for closing the holes. 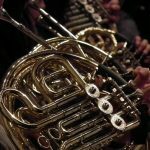 This option would mean that you could have the more difficult part of playing the bagpipes mastered before moving on to one of our best bagpipes for beginners from the reviews below. 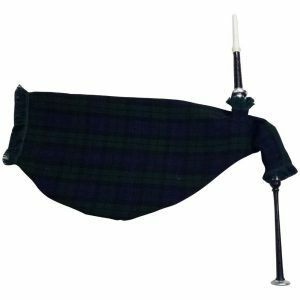 This practice chanter can also be used as an easy option for transporting your rehearsals if you wish to practice but don’t wish to lug the whole set of bagpipes around with you. So, it still serves a purpose once you have moved onto the full set of bagpipes. This small set of bagpipes allows you to get a feel for what playing a set of bagpipes is like. It will give you the option to upgrade to a full-sized set in the future but know that you have mastered the basics before moving on. 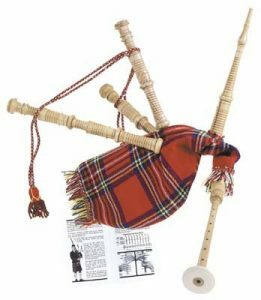 It would suit a child of smaller stature as they will be able to get their arm around the bag and play in the same way as a standard set of bagpipes. This is a space saving option and they are easy to transport. These are the best bagpipes to buy for youngsters. 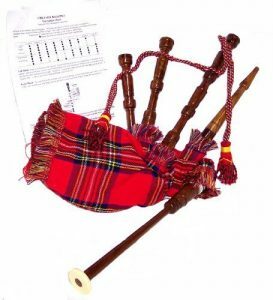 This set of bagpipes could be the best bagpipes for beginners in that it allows a novice to learn the finger patterns whilst still having the blow to fill the bag and squeeze the air from the bag with their arm. 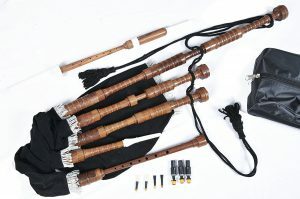 This will allow a player to develop the full skill of the playing of the bagpipes before upgrading to the full-sized set. It will prepare a player for all of the parts of playing a set of bagpipes well. Review: This set of quality bagpipes is manufactured by a well-known brand. The use of ivory mounts adds to the sound quality and distinctive look of the bagpipes whilst the pipes themselves are completely tuneable. This set of bagpipes is for you if you are a professional player looking for an extra finesse in their new set of bagpipes. Review: This Royal Stewart Tartan set of bagpipes are striking to the eye and the ear. 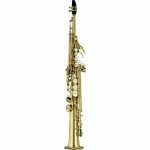 The synthetic bag and reeds allow for long-lasting durability and mean that this instrument is playable in different humidity. Synthetic bag and reeds for added durability. Not an easy set to play for a beginner. 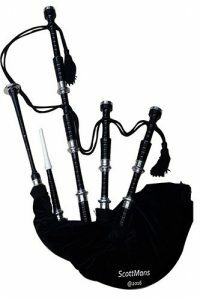 This set of bagpipes is for you if you are looking for the best budget bagpipes on the market. Review: This junior set of bagpipes will offer a small size of instrument for a child to learn on. 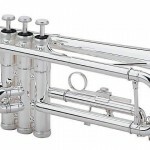 It will suit their size better than a full-sized set of bagpipes but will allow for them to learn to play in the exact same way as with a regular set. The sound quality is on a par with regular bagpipes. Great sounding set of bagpipes. Would need upgrading with stature and proficiency. This set of bagpipes is for you if you want a smaller sized set of bagpipes for a child to learn on. Review: This fully tuneable set of bagpipes offers a quality sound and intonation. The green tartan set of bagpipes representing Ireland is sold in a hard box to keep them safe from damage. Comes with practise chanter pipe. 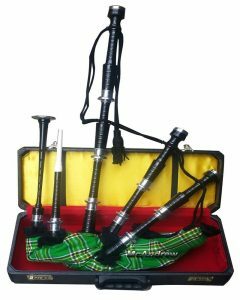 This set of bagpipes is for you if you wish to be able to tune your bagpipes with great intonation. Review: This authentic wooden set of bagpipes is a good quality option for an adult beginner player. 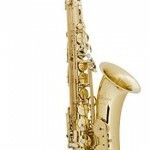 The reeds and bag are synthetic making them durable and great for playing in different humidity. Comes as part of a starter package. Ready to play and learn. This set of bagpipes is for you if you want to start playing on a full-sized model straight away. 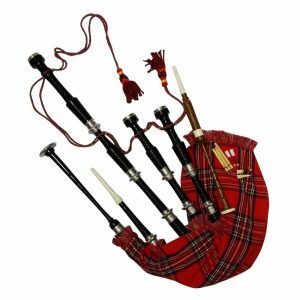 Review: This stylish set of bagpipes is a suitable set for an adult beginner. 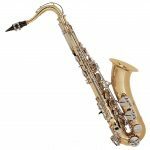 It offers the ease of play with the benefit of being full-sized to learn straight off how to play. Cheaper than most full-sized options. Both cane and plastic reeds available with the bagpipes. This set of bagpipes is for you if you are a beginner looking to start with a full-sized set of bagpipes. Your next step is just one click away. Having understood the considerations on this website and thought about your needs, you should be in a position to make you purchase. Remember to use our bagpipe reviews above to select and click on the bagpipes for you above ensuring you get exactly what you are looking for. 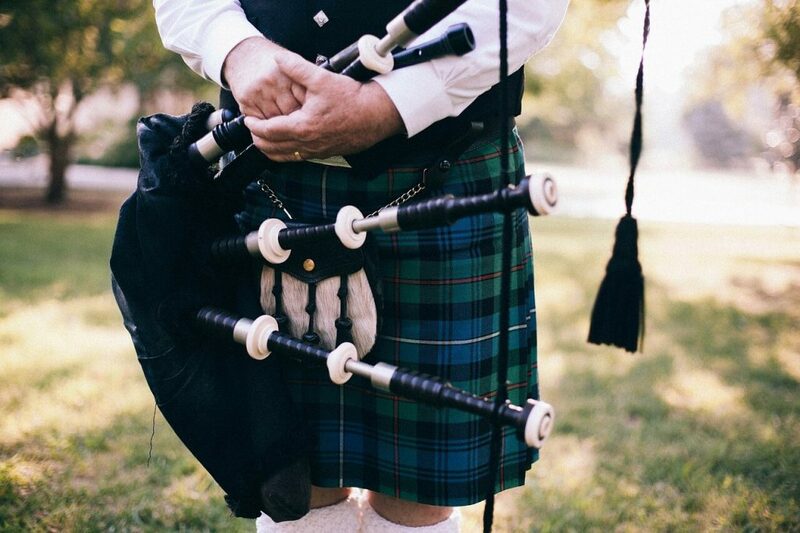 The best bagpipes for you could be with you in a matter of days.